UPDATE: The rocket has launched from Cape Canaveral. CAPE CANAVERAL, Florida -- SpaceX will once gain attempt to launch a commercial satellite aboard a Falcon 9 rocket from Space Launch Complex 40 at the Cape Canaveral Air Force Station in Florida to Tuesday evening, December 3, 2013 with Wednesday as a backup launch date. 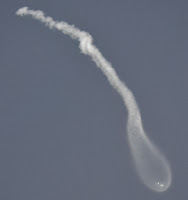 The launch window opens at 5:41 p.m.
"All known rocket anomalies resolved. Will spend another day rechecking to be sure," SpaceX CEO Elon Musk tweeted this morning. The U.S. Air Force 45th Weather Squadron forecasts an 90% chance of favorable weather conditions on either a Tuesday or Wednesday launch day. The primary weather concern is thick clouds. The SES-8 telecommunications satellite will be SpaceX’s first launch to a geostationary transfer orbit – 50,000 miles (80,000 km) from Earth. The private space company says SES-8 is its most challenging mission to date. 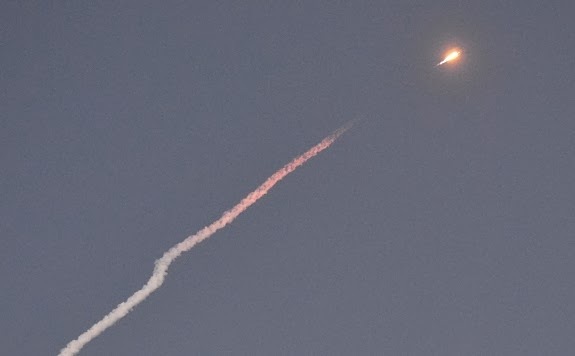 The best place to watch the SpaceX launch is from the Canaveral National Seashore just north of Kennedy Space Center. 4. Along the beaches of Cape Canaveral and Cocoa Beach, Florida. (There is metered parking in Cocoa Beach that only accepts quarters, so bring some change).